Brewmaster Josh Ervine. Credit: Matt Skoufalos. Iron Hill Brewery sources Revolution Coffee beans for a limited-run stout, while Markeim Arts Center explores the art of beer with former Local Market head, Chris Thomas. Steve McFadden. Credit: Matt Skoufalos. 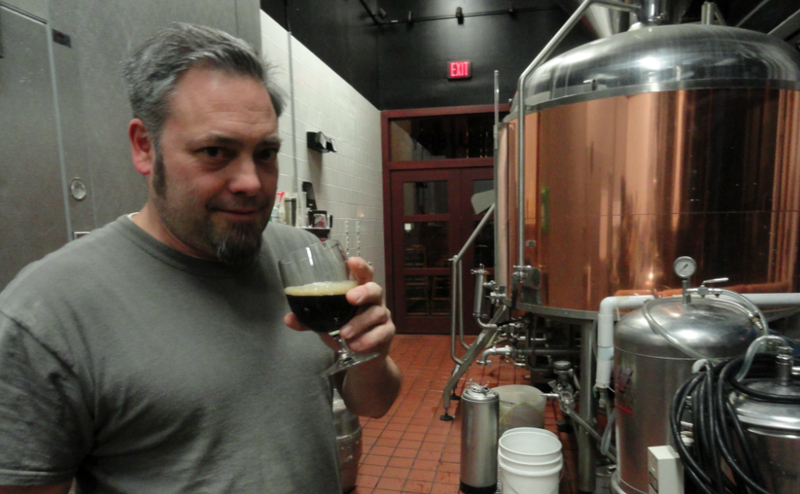 It’s not the most intuitive name for a dry English stout flavored with Indonesian coffee beans, and Iron Hill Brewmaster Josh Ervine isn’t quite sure where it comes from. But after four years, regulars at the the Maple Shade brew-pub know the award-winning homebrew recipe “Luca Brasi” as an annual favorite. So when Ervine set out to scale it up to production volume in 2016, he wanted to feature a local, fair-trade, rainforest-certified coffee as its centerpiece. 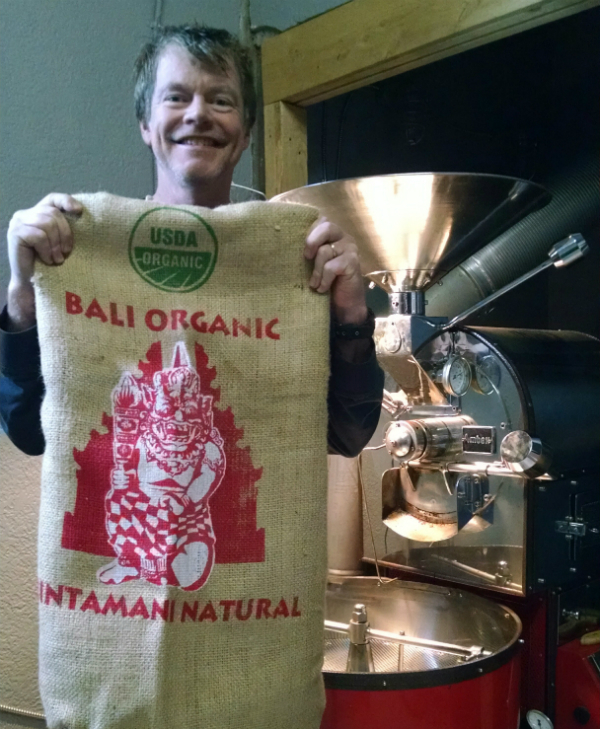 A few phone calls led the brewmaster to the Collingswood-based Revolution Coffee Roasters, where he first encountered the unique flavor characteristics of the Bali roast. Ervine described the flavors of the beer as “aromatic,” “nutty,” and “slightly caffeinated” because he used whole beans instead of grounds or a cold concentrate. As a coffee stout, it will have aspects of both coffee and beer, he said, but a custom, darker-than-usual (for Revolution) roast will limit its acidity. Luca Brasi. Credit: Iron Hill Brewery. Ervine has produced 330 gallons of the Luca Brasi, and once it’s sold, the batch will be gone, probably in about a month, he estimated. Growlers will be available for take-home customers, and to celebrate the release, Iron Hill mug club members will have access to The Kingslayer, a strong Belgian golden ale, during the hours of Wednesday’s launch. Revolution Coffee Roasters co-owner Steve McFadden said the opportunity to participate in another beer-making enterprise—his roastery paired with microbrewery Flying Fish for a coffee IPA last year—is a natural fit. “A lot of people in our target demographic exist on a plane somewhere between coffee and alcohol anyway, so it’s nice to be one of the bookends in that equation,” McFadden said. Ervine agreed that small-batch coffee roasters and microbrewers have been on parallel tracks in New Jersey for more than a few years. They share a common interest in hand-crafted flavors and small-scale production, values that match Ervine’s desire to connect with his purveyors by sourcing his ingredients locally. McFadden was similarly excited at the opportunity. Locavores can enjoy “Luca Brasi” into February, which gives them just enough time to whet their appetites for a deeper dive into the world of beer-making at the end of the month, courtesy of Chris Thomas and the Markeim Arts Center in Haddonfield. Before he founded the short-lived Local Market Collingswood, Thomas spent 17 years learning the ins and outs of the beer industry at Monk’s Café in Philadelphia. As one of its opening-day managers, Thomas can recall a time when Monk’s more exotic offerings were novel (the pub claims to have been the first in North America to have beer from the Belgian brewery Chimay on draft). 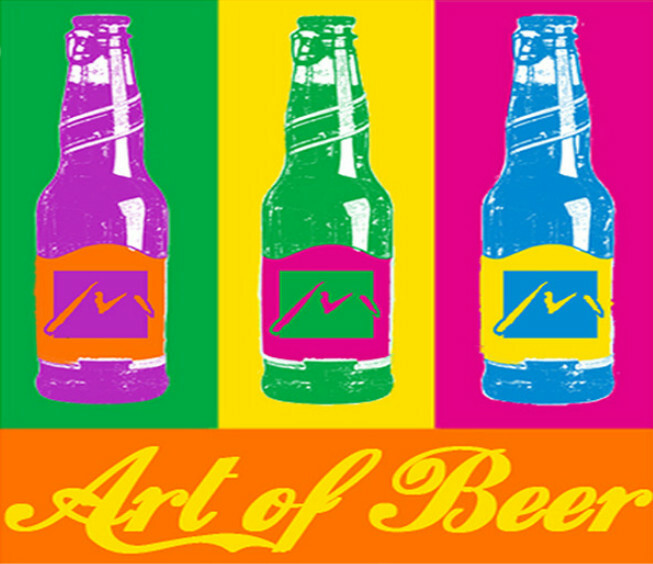 Now Thomas is bringing that expertise to beer lovers in South Jersey with “The Art of Beer” classes at Markeim Arts Center in Haddonfield. Hosted on four Thursdays from February to May, Thomas will provide a flight of beers curated around a theme—barrel-aged beers, stouts, ancient ales, and intercontinental flavors—and offer education about the history and style of each. Homebrewer Jim Fish will brew a beer to match the theme of each class, and support the discussion from a brewer’s perspective. 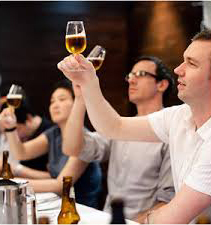 Each $45 class includes beer and food pairings from Mark Rooks of Rent-a-Chef Haddonfield. Classes are $45 for a two-hour session, and the first will be held Thursday, February 25. Called “Roll Out the Barrel Aged Beers,” it focuses on the effects of aging beer in scotch, whisky, wine, or tequila barrels. Thomas’s list of potential brews includes rarities like the Harviestown Ola Dubh, Allagash Curieux, Lost Abbey Agave, Bruery Noble Blanco, Scaldis de Nuits, and Innis & Gunn. Beer Education. Credit: Markeim Arts Center. The March 24 class on stouts will feature oyster, milk, Russian Imperial, oatmeal, and chocolate stouts. April 14 will be given over to Dogfish Head Ancient Ales, including Midas Touch, Theobroma, Sahtea, Chateau Jiahu, Etrusca Bronze, Kvasir, and Ta Henket. The May 12 class revolves around the key players in an all-world six-pack. For Markeim COO Bob Hochgertel, the program is a great way to help bring art and education into the community at large, while connecting with new audiences who may not have visited the center before. Hochgertel sees the Art of Beer as one in a continuum of arts offerings at the center—from metalsmithing to dance, laughter yoga, animation, and self-publishing—as it celebrates its diamond anniversary. “Despite our 60 years, there are some in this area who have never set foot in our building,” he said. “While we still have the traditional art and education opportunities that you would expect, we’ve been working really hard to supplement that with some out-of-the-box opportunities. We are really striving to embrace all of the arts.